Samira Wiley attends Logo TV’s ‘Trailblazers’ at the Cathedral of St. John the Divine on June 23, 2014 in New York City. 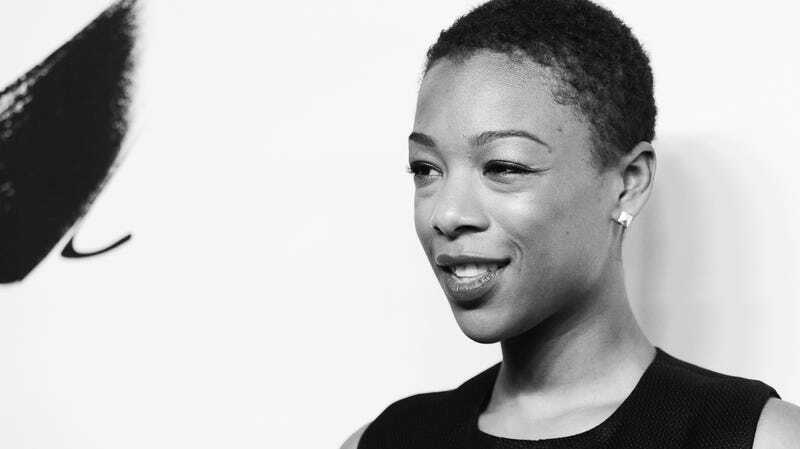 Samira Wiley is many things: black woman, American, actress, activist, wife and breakout star of bona fide hits Orange Is the New Black (OITNB) and The Handmaid’s Tale. She is also an out and proud gay woman—now. While OINTB is where Wiley met her wife, screenwriter Lauren Morelli, it is also where she was forced into “coming out,” as she recently recounted to WNYC’s LGBTQ+-focused Nancy podcast. It does have me questioning about like… where we are then, where we are now, the question of progress… Over and over and over again, we hurt each other and we don’t know how to get out of this cycle. But then there’s this cycle of trying to repair that… So, it does, I guess, make me a little wary about like what progress are we making, but it also makes me think of like, We’re not crazy…. This is who humans are and as humans we have to push through this… That’s where the art comes in. We have to put a salve on our wounds. And while we are definitely seeing more representations of humanity and womanhood in media these days, Wiley impressed upon her hosts that we’re not quite equal—yet. I think that as long as we’re having the exact same opportunities on our side… if it’s equal, then sure. But I do think that right now it is not equal, and because it is not equal, it is very important that we tell our own stories. ... Our experience as queer people in this world, in this country, is a very singular thing.